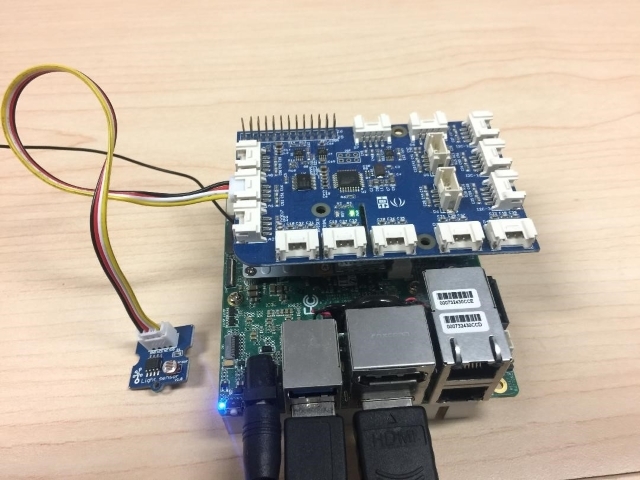 This article demonstrates how to use Thinger.io on an UP Squared board running the Ubuntu operating system. This article is in the Product Showcase section for our sponsors at CodeProject. These articles are intended to provide you with information on products and services that we consider useful and of value to developers. Thinger.io* is an online cloud platform for the Internet of Things (IoT), allowing many devices to integrate with the Thinger.io cloud. It provides real-time data processing and displaying. Visit the Thinger.io site for detailed information. 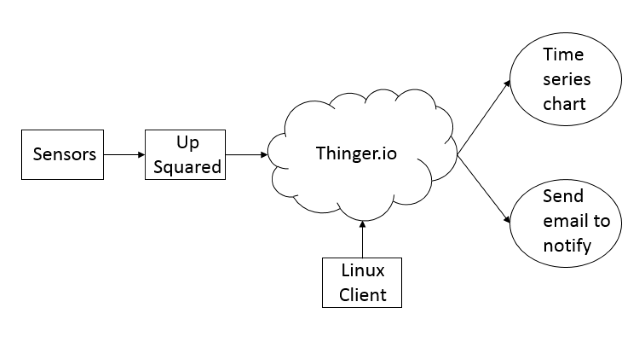 This article demonstrates how to use Thinger.io on an UP Squared* board running the Ubuntu* operating system. It will read the real-time light sensor value and display it in a time series chart. If the light sensor indicates it’s getting dark, it will send an email notification. The UP Squared board is a low-power and high performance platform ideal for IoT applications. The UP Squared board is based on either the Intel® Celeron® processor (N3350) or Pentium® processor (N4200). For more information, visit the UP Squared home page. For the UP Squared* Grove* IoT Development Kit, an Ubuntu 16.04 Server Image is installed in the UP Squared board. To upgrade or refresh, follow UP Squared Grove IoT Development Kit Ubuntu 16.04 Server Image. If the installed Ubuntu doesn’t have the right kernel for UP Squared, follow the Install Ubuntu Kernel instructions below to verify and update the kernel for the UP Squared to gain access to the GPIO pins. The default kernel in the Ubuntu Core doesn’t allow access to the GPIO pins. Install the required kernel below to gain access to the GPIO pins. Before updating the kernel, use the following command to check whether you have the right kernel for UP Squared. UPM is a library that allows you to interface with sensors and actuators. MRAA is a GPIO library that provides easy connections to IO pins on the UP Squared and other boards on Linux. By default, the MRAA and UPM libraries and includes will be installed in /usr/local. If you prefer them to be installed in a different directory, for example /usr, then use option -DCMAKE-INSTALL_PREFIX:PATH=/usr for the cmake as below. This example will use the default directory /usr/local. Thinger.io allows multiple devices to connect to the Thinger.io cloud. Visit thinger.io console to create a free account if you don’t have one. Then navigate to Devices on the left panel of the Thinger.io console to add a new device. Fill out Device ID and Device description. For the credentials field, either fill out a value or click on Generate Random Credentials for a random credentials value. Make a note of the credentials value for later when it’s time to connect the device into the Thinger.io server in Code Example 3: Thinger.io instance. Then, click the Add Device button to add the new device. 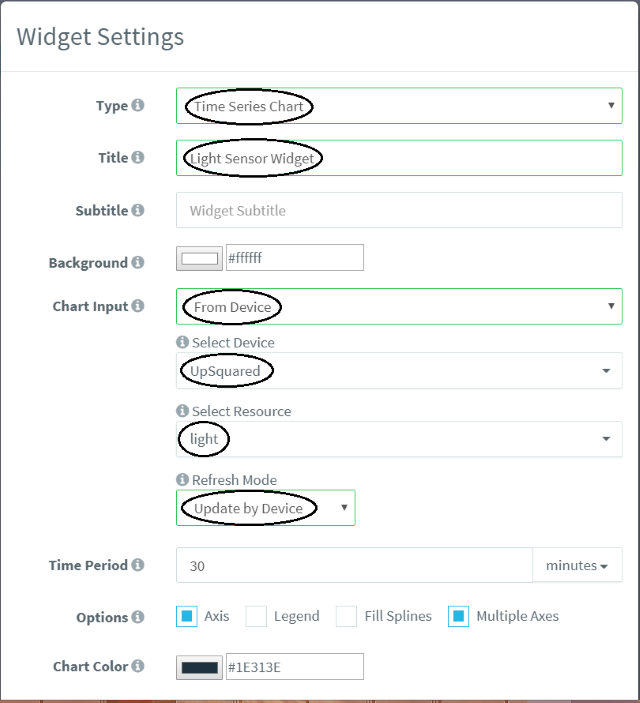 Once your first device is successfully added into Thinger.io, it should show 1/2 devices as below. The maximum is two devices for free accounts. 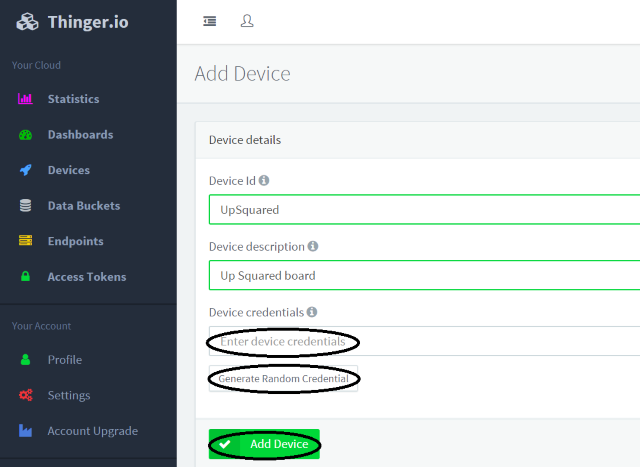 Once your first device is successfully added into Thinger.io, it should show 1/2 devices as shown below. The maximum is two devices for free accounts. Endpoints are pre-defined channels that the device uses to send email, SMS, or others to the services that consume your device data. Navigate to Endpoints on the left panel, then click on Add Endpoints to add the new endpoint. Fill out all of the required fields to define the endpoint. Below is an example of a light sensor endpoint. Then click on Add Endpoint in the bottom of the Add Endpoint window to register the endpoint. Edit main.cpp to interface with the light sensor. If the light sensor indicates it’s getting dark, it will send an email to notify. Add this line into main.cpp to interface with Grove shield. Connect the light sensor to the analog pin A1. Initialize the Thinger.io instance using the UP Squared device information. Once the endpoint is registered, the device can invoke call_endpoint() and pass in the endpoint identifier to send an email to the email address which was defined in Figure 5: Add new endpoint window above. The pson inline function will assign the light sensor value to the light private variable and its value will be displayed on the api windows as shown in Figure 8: UP Squared API window. 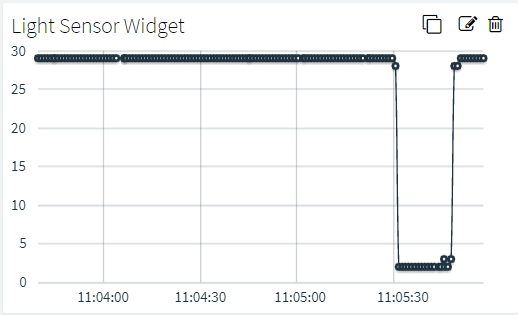 Read the light sensor value from the analog pin A1 and stream it to the Thinger.io server. If the light indicates it is getting dark, call the Endpoint to send the email. 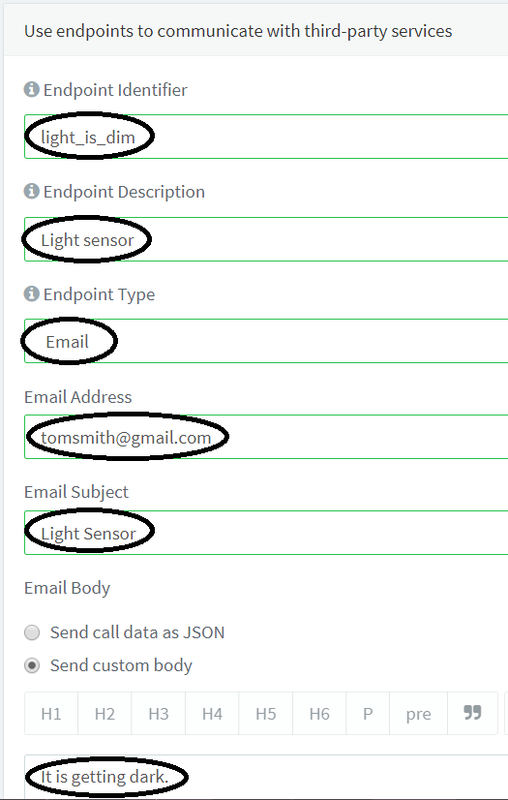 You should receive an email from no-reply@thinger.io with a predefined subject and body when the light sensor indicates that it’s getting dark. # CMAKE generated file: DO NOT EDIT! 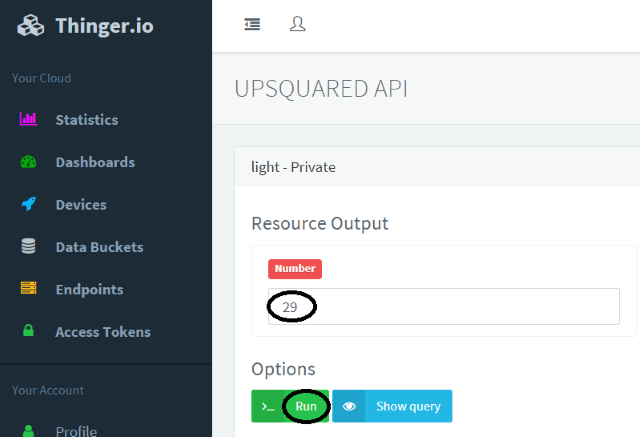 From the Thinger.io console, navigate to Devices on the left panel, select UpSquared device, then click on View API. Then, click on View API. The real time light sensor will be displayed on the UpSquared API window. To refresh the real time light sensor value, click on Run. 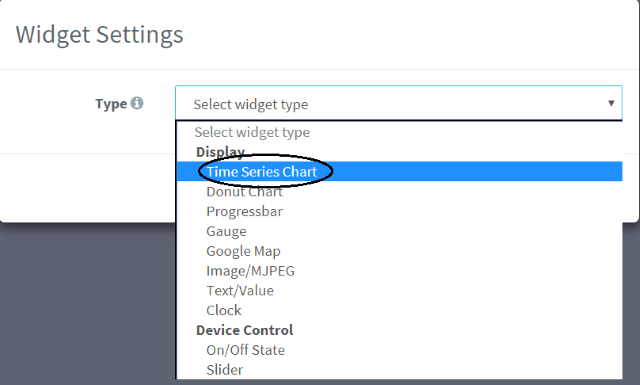 To view the real-time light sensor values in the time series chart, navigate to panel on the left, then click on Dashboards. Then click on Add Dashboard, fill out all the fields and then click to create a new dashboard. Once the new dashboard is successfully created, click on Dashboards on the left panel again to view the newly added dashboard then click on it. Slide the button on the top right corner to the right and then click on the Add Widget button. Fill out all the required fields then click on the Save button. The real-time light sensor time series chart will look like the one below. Thinger.io provides services for building IoT applications. It allows you to connect and manage devices and visualize sensor data in real-time. You can also expand your project with multiples sensors, multiple IoT devices and communicate between devices. Nancy Le is a software engineer at Intel Corporation in the Core & Visual Computing Group working on Intel Atom® processor enabling for Intel® IoT projects. © Copyright 2017 by Glink Solution Technology. All Rights Reserved.